Any motor head worth his salt is a fan of the BMW 'new class'--introduced in 1962 with the 1500, later adding the 1600, 1800, 2000 & 2002. 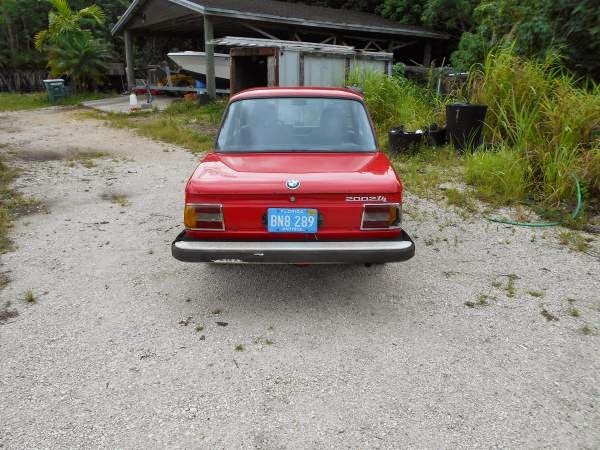 The later 2002 is the choice for fun seekers around the world, and the ultra exclusive turbo version is all but unobtainable for the average man, but 2002 Tii version can still be picked up if you keep your eyes open. 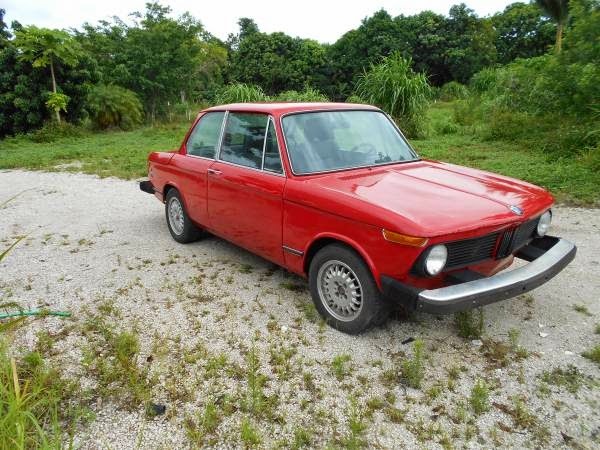 Find this 1974 BWM 2002 Tii offered for $5,099 here on craigslist located in Davie, FL. Tip from FuelTruck. This big bumpered 2002 looks decent in the few photos provided, in fact it looks much better than the asking price would suggest. The blacked out grill doesn't look bad, and the paint seems surprisingly shiny. The Tii badge on the back of a "New Class" BMW indicates that it is equipped with Kugelfischer mechanical fuel injection, larger oil feed/return lines, big brake discs/booster and a few other mechanical goodies. Only 7500 of the Tii edition were made for the US market and today they demand a significant premium over a standard 1600/2002. 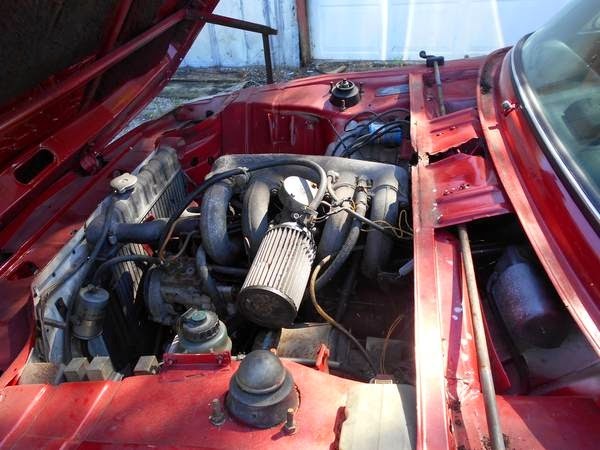 The 2.0 liter inline four in this el-cheapo version is the same engine that puts out 130 horsepower in the over-restored 30-large asking price examples for sale.